Edgar Sandoval began installing central vacuums in 2001 as the central vacuum specialist for a local alarm installation company. He founded Precision Central Vacuum in 2011 in order to bring the Monterey and Santa Cruz areas better service. We are committed to being a reliable, fair, friendly, and knowledgeable resource, and promise to work with you to determine the best solution for your needs. Precision Central Vacuums specializes in the installation in new construction homes and also installs in existing homes with minimally evasive alterations. He services all makes and models of built-in vacuums; especially Beamco, Grand Central, Sequoia, Nutone, Beam, Modern Day and Silent Master. Edgar personally visits each and every jobsite to insure that all systems are properly installed providing optimum performance. He works with builders, contractors, homeowners, and commercial projects. California Contractors License # 965400. We look forward to earning your business and your trust. 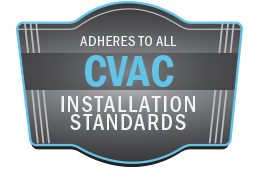 Let us show you how the right central vacuum system and accessories can enrich your life! Precision Central Vacuums, your one-stop source for all your central vacuum needs!